In order to get myself back in shape and fighting fit, I’ve agreed to be part of a relay team for the Belron Triathlon (for charity of course!). Now don’t get too excited; I’m’ only doing the swimming leg of a Relay Triathlon Sprint, but as I’m still building my muscle back up from my accident, this is a big deal for me. 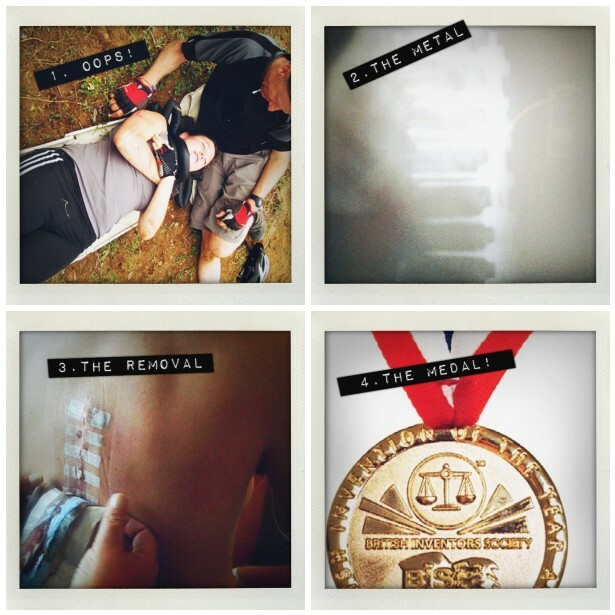 So here is the plan: From metal to medal! You may remember what happened when I tried to ride a bike in 2009. Well I had my second surgery in July 2010 to have the metal removed and the triathlon is in July 2011. So now is the time to start setting goals; and by sharing the publicly, I have to achieve my goals publicly – no backing out now! So over the next 110 days (D-Day 30th July), starting today, I am going to have to train. This means building up the stamina to do 750 meters without stopping – and then to do 750 meters as fast as I can. I am going to begin keeping a bit of a journal here, which I’ll update on my progress. I plan on going with triathlon teams to practice near the Pentlands starting in May – then I’ll see what I’m really made of. I’ve been wanting to get back into competitive sport for a while, so I’m excited about this. And have no fear – I’m sure I’ll be back asking for donations from you soon! Results for today were above the goal, so that’s a WIN!